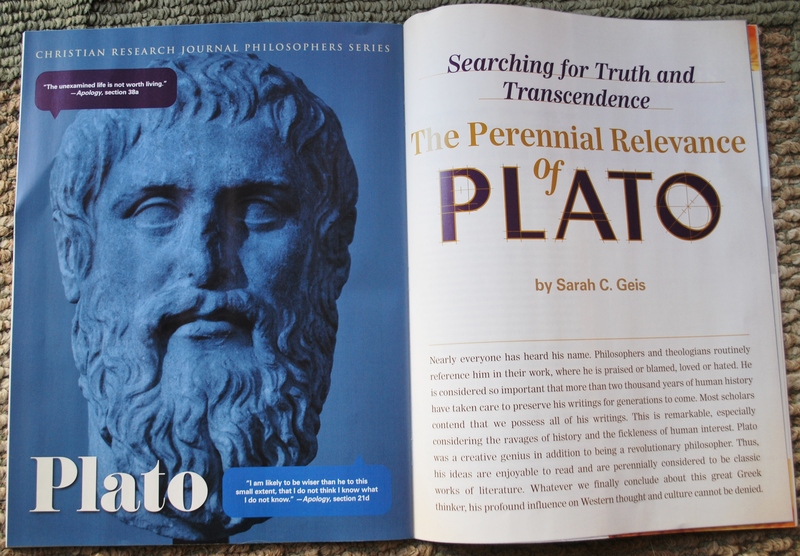 My article on Plato has just come out in the Christian Research Journal. It is only in print, so go pick up a copy. People have valued reasoned, fair disagreements and good listening skills for far too long. It is high time we dispense with those boring and outdated formalities! After all, why respect the laws of logic when you can enjoy the adventure of following your own passions? When you get the point, you can only either agree or disagree. How boring! On the other hand, when you miss the point, you open up a fallacy-filled wonderland where conversation and emotions are set free to frolic! If you wish to dispense with the authoritarian laws of logic (which care nothing about you!) and transcend the boundaries of social courtesy, then here are some suggestions for you to try on your entirely subjective journey. These primarily apply to written arguments, but can also apply to listening to a spoken argument. 1. Foster the conviction that all with whom you disagree are personally attacking you. Even if the individual doesn’t know you, your ideas are your identity. Never mind the fact that this introduces all sorts of strange problems for understanding personal identity. That stuff is not important. What is important is that your very person, and all you hold dear, are being assaulted. 2. Don’t accept the author or speaker’s own definitions of his terms. For instance, if someone is using the term “idealist” to mean a person who has lofty goals, you could show off your philosophical prowess and point out that he has gotten philosophical idealism (something else entirely) all wrong. It would also be fun to attack a Lutheran who believes in Christian orthodoxy (small “o”) for being a closet Orthodox Christian! Here is a time-tested example: If the argument is about economics, you may wish to respond by claiming that the author is just racist. You get bonus points here, as this tactic also functions as an ad hominem and as a red herring fallacy (look them up if you are curious). 5. Skip to the end. By doing this, you don’t get the argument at all, and you will miss the author’s definition of terms as well as all qualifications. 6. Read halfway through and stop reading. Sometimes, an author begins by surveying a given topic, or by introducing an argument with which she will then disagree. If you stop reading halfway through, you can respond as if the survey or the dissenting argument were actually the view of the author! 7. Just read the title and no further. This one is catching on all over the world. Make sure to leave a comment if it is a blog or a Facebook post. All of this can be accomplished in under a minute. 8. Partially attend to something else while reading or listening. This is a sure way to miss important things to the author or speaker and only catch words and phrases that are important to you. 9. Convince yourself that evaluation of or criticism of something is reducible to hatred. Assume that if the arguer has negative things to say about a person or thing, then the arguer is actually displaying a deep-seated, concentrated hatred of that person or thing. For instance, all who criticize technology clearly hate technology and are hypocrites for using it at all. 10. Confuse descriptive with prescriptive statements. If I read an article reporting that “People who smoke marijuana enjoy the experience,” this is describing a state of affairs in the world (a descriptive statement). If I want to miss the point, I can respond as though it was a prescriptive statement. In other words, I can act shocked that the author would dare suggest that we should smoke marijuana (which would have been a prescriptive statement, had the author actually said that). 11. Ignore quotation marks, italics, or indented quotations, and attribute them to the quoting author. By doing this, one can make the author appear to say all sorts of crazy things. 12. Remember that no one has the right to criticize things you like. Decide right now that all criticisms of anything you like are immediately invalid. After all, we know that things and people that we like are perfect. 13. Misunderstand or fail to detect sarcasm. To spin it positively, be rigidly serious all the time, insist on taking yourself very seriously, and you will discover all sorts of wild statements that are ready for your attack. 14. Insist on seeing your pet issue as a fundamental component of every argument you read. If you are into women’s issues, for example, cry foul at anything in the argument that can conceivably (or even inconceivably) be construed as a sexist attack (assuming, of course, that the argument itself is not about women’s rights– then you must pick another point-missing tactic). 15. Don’t look up words you don’t understand. Just react to them upon your first, confused reading. 16. Present your response when maximally angry. You will be amazed at your own propensity for the creative use of fallacies, misspellings, and overall murky thinking when overcome by emotion. Things can get wild if you take this advice. You may even regret it later, making the fun last as long as possible. This can quickly turn as serious as a porcupine in a balloon factory. 17. Avoid paragraphed and correctly punctuated responses. If you are going to respond online, it is fun to see how crazy you can make your chosen target by posting responses that are almost as long as War and Peace. The more run-on sentences the better; when you omit careful punctuation and paragraphs, it tends to stun the opponent. If you are lucky, the bewildered adversary may actually try to respond to your mass of verbal chaos. Watch him squirm, and enjoy.